Sorry, none of my previous posts were aimed at any one individual, just me lamenting the spirit of mutual support I used to admire so much in the Linux/FOSS world, which seems to be being replaced with introversion, suspicion, and sniping. Steve Ballmer would be grinning like a Cheshire cat. Maybe we need a full frontal attack from someone like Microsoft to pull together again ? Linux is slowly loosing the UNIX philosophy of shared, reusable, and pluggable code, and moving towards a selfish integrated model that shares code in name only by making it impossible to use outside the target environment. PCNetSpec, have you ever thought of writing an essay on that specific topic? It's a subject of the utmost importance, and we hardly ever hear anything about it. I, for one, didn't think you were attacking anyone. I was just saying that I love Ubuntu and always will. They lost me with Unity, but there were still their other official spins, Kububtu and Xubuntu, which are still Ubuntu, only with a different desktop. If not for Peppermint, I'd probably be running one of those. Mint was fun for a while, but I don't care as much for the way they do things. If we need to bash someone, why not Apple? Their crappy prices for so-so hardware and a "meh" OS have always been a sore spot with me. Every time I've thought of buying one of their overpriced computers, I've had to choke back vomit. What's the difference between "a selfish integrated model that shares code in name only by making it impossible to use outside the target environment" and proprietary software other than, in practical terms, only being able to read the code? Yeah, all of us are already subject to too many "alternative facts" as is. You're probably wise in not writing that essay (Although I can't think of anyone better equipped to write that essay than you.) The mission creep within Linux to which you are referring however does make RS sound saner and saner with every passing day. This is an uphill battle for sure. Little by little we're losing the GNU in Linux. Sadly the term "versus" seems to have crept into the Linux world (possibly because a shared sense of external threat is no longer felt so keenly). where the terms "diversity", "choice", and "shared common goals" used to reign supreme .. it seems to be driving a sense of tribal insularity instead of respect via cooperation. I don't get why it has to be versus either. I mean, they're all just different options. Variety is what makes Linux so great, there's no reason to have a peeing contest on whose distro, DE or package management is better. They're all good in their own way, and they all have their flaws. It's up to individuals to decide which they prefer, but there's no competition. It is nice, VinDSL. In fact, all these distributions and interfaces are nice. I still think, however, that the users from Unity are going to want to see a little polish on GNOME --for instance, like adding Suspend to Shutdown instead of having to add Sleepy. But, still, you can easily see that GNOME is a wonderful foundation on which to build, customise, or fork. Clearly Unity is forked from GNOME, as is Cinnamon and Pantheon. GNOME is impressive. I'm glad we're having this conversation. It's causing me to look at these various DEs anew. and to make matters worse you then have to ADD plugins (and therefore more weight) to it to make it work properly .. which I seem to remember you using against me in a Firefox/Chrome "discussion"
The rest is just eye candy! Good point. Xfce remains the most user-friendly desktop environment I've seen yet. Right now I'm running Peppermint 8 alongside Mint Cinnamon Edition 18.2 after having experimented with GNOME. Although both Peppermint and Linux Mint work just fine, I still find Peppermint easier to configure and easier to use than Mint. Also both GNOME's and Mint Cinnamon Edition's keyring issue concerning password management within Chromium or Chrome browser has gotten old fast. I get tired of dealing with that issue time and time again. I find it really odd that Xfce doesn't seem to get the development resources the others do (yet probably more distros use it than any other DE, surely there's a message it that) .. it would have been nice if Ubuntu had decided to put their resources behind the tiny Xfce development team instead of Gnome .. IMHO Xfce could easily be turned into the premier Linux DE with a resource injection. All it really needs is a better file manager based on Nautilus but not dumbed down (something like Nemo, or their own Nautilus fork), a shift to Gtk3 (already nearly completed), and then a little modernising of the theming/graphics. IMHO Ubuntu chose the wrong DE again .. if they'd have championed Xfce development I think they'd have pleased a LOT more people .. and with their resources could probably have shaped the development more so than Gnome will allow them. If someone could figure out how to gather the data it wouldn't surprise me to discover Xfce is the most used DE out there without anybody actually realising it. I mean, Cinnamon is basically Mint only .. sure you can have it elsewhere, but how many do ? Gnome 3 Shell (in it's default form) hasn't been that popular .. sure a few of the bigger distros default to it, but is it really that "used" (outside maybe the corporate world) ? 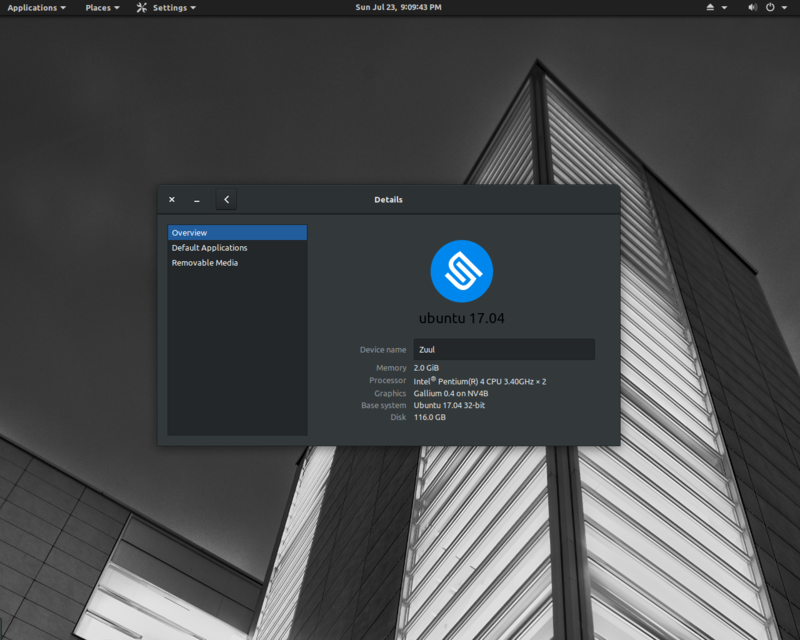 Budgie .. erm, Solus .. yeah there's Ubuntu Budgie, but do you know anyone that uses that ? When all Xfce spins are added together, if it isn't the most used DE I'd bet it's right up there. Maybe we should start some kind of drive to get people to donate to the Xfce team to help speed development ? Yes John, I realise a lot of those are just shells for Gnome 3 .. but I'm not talking about the underlying tech, I'm talking about the UI and primary apps/utils people interact with and "recognise" as a distinct DE. Yes John, I realise a lot of those are just shells for Gnome 3 ..